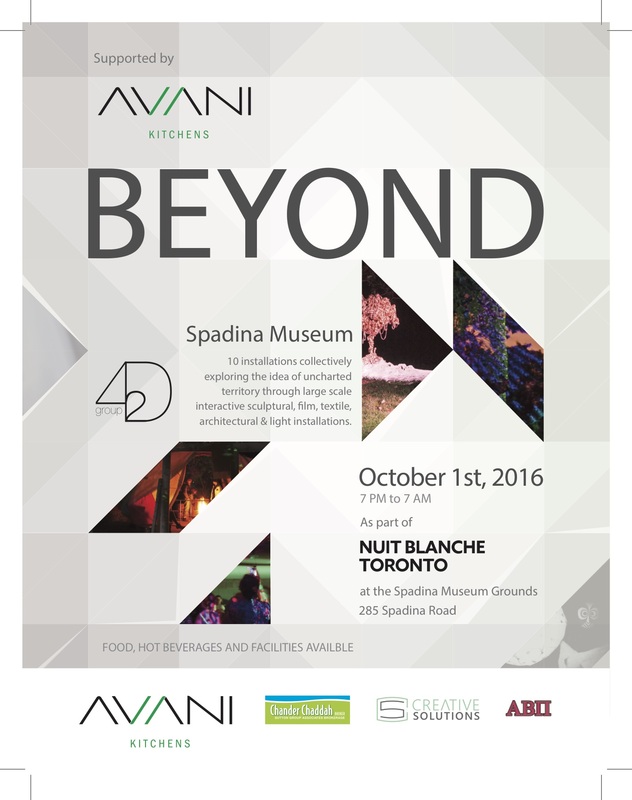 I am pleased to announce that I will be returning once again to the historic Spadina Museum, for Nuit Blanche Toronto 2016. Joined by a diverse group of 10 artists, dubbed Group 4d2 (returning for our 9th consecutive appearance), the lush 5 acres of the Spadina Museum grounds will be transformed for one night only, into a magical outdoor gallery designed to enchant, surprise, soothe, and reward festival goers who venture off the beaten path. Our collective theme, Beyond, will present inaccessible realms, and redefined space and form explored through large-scale interactive sculpture, film, textile and mesmerizing light installations. 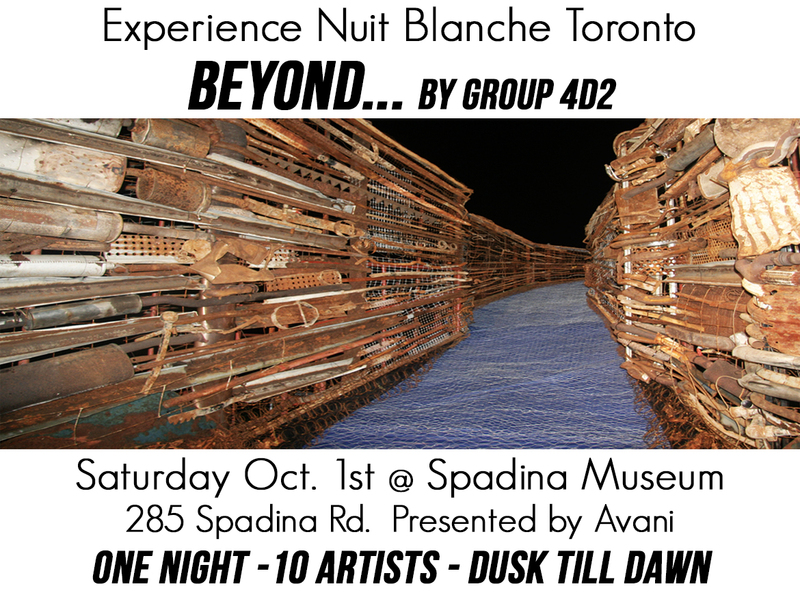 Please join me and experience Nuit Blanche Beyond, this Saturday October 1st, from Dusk till Dawn (7pm to 7am). 285 Spadina Road. Please note: This is an outdoor event, so dress weather-appropriate!